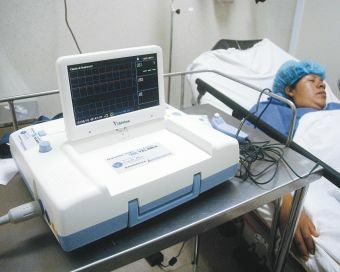 The Carlos Slim Health Institute finances efforts to use technology to improve the health of pregnant women and babies. A private grant maker that supports projects in education, health, the environment, and other areas. In 2010, the last year for which tax information is available, it held roughly $2.7-billion, according to public filings with the Mexican government. Today the foundation says it has $3.5-billion. Key grantees: The ALAS Foundation, an education group run by the pop star Shakira; Connect2Compete, a U.S. nonprofit dedicated to expanding access to computers and the Internet; the World Wildlife Fund; and an art museum and a health institute created by Mr. Slim. It also works with the William J. Clinton Foundation to help small businesses in Colombia and Haiti, among other projects. The Telmex Institute of Technology runs 13 after-school centers where young people can develop digital skills. This grant maker, financed by Mr. Slim’s telecommunications company, runs education, health, and sports programs in Latin America. The foundation says it has $1.5-billion in assets. Accomplishments: From 1997 to 2010, the foundation says it provided computers and monthly living stipends to 242,362 university students, donated 266,864 bicycles for children who live far from school, and subsidized the costs of 711,242 surgeries, among other accomplishments. Key projects: It supports the Telmex Institute of Technology, which is devoted to teaching Mexicans technology skills and expanding online access. In the last two years, it has helped 3,500 schools secure computers and discounted Internet service, trained teachers at 850 schools in computer skills, set up 13 after-school centers, and provided advanced-degree programs in technology. Started in 2007 with a gift of roughly $280-million from the Slim foundation, this organization is dedicated to ensuring that more people in Mexico and abroad have access to quality health care. Much of its work focuses on using technology to improve care. It also supports efforts to improve Mexico’s organ-transplant system. Key project: A $50-million effort with the Bill & Melinda Gates Foundation to improve health for Latin America’s poorest people. Key grantee: A $65-million pledge to the Broad Institute for research into genetic factors that may lead to cancer and diabetes. 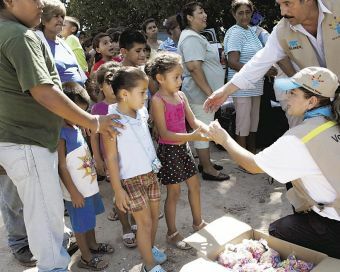 The Telmex Foundation has provided aid and supplies after natural disasters to countries including Mexico, Haiti, and Guatemala. The nonprofit, whose roughly $4-million annual budget is paid for by revenue from a parking lot that Mr. Slim owns, is dedicated to preserving Mexico City’s historic downtown. Mr. Slim has focused on revitalizing the downtown area by opening branches of his businesses, like the retail store Sanborns, and providing health and counseling services for neighborhood residents. Opened last year, this Mexico City art museum, which holds Mr. Slim’s $100-million collection of pieces by Auguste Rodin, Salvador Dali, and many other artists, is free to the public.